In this blog post, I review a new Mughlai takeaway and delivery outlet in Gurgaon called Majeed's. 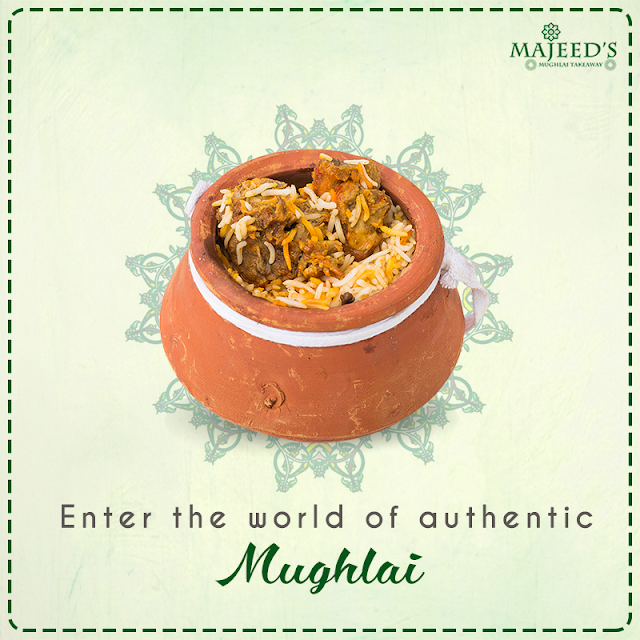 Want to get the real taste of Mughlai royalty in the expanse of your dining room? 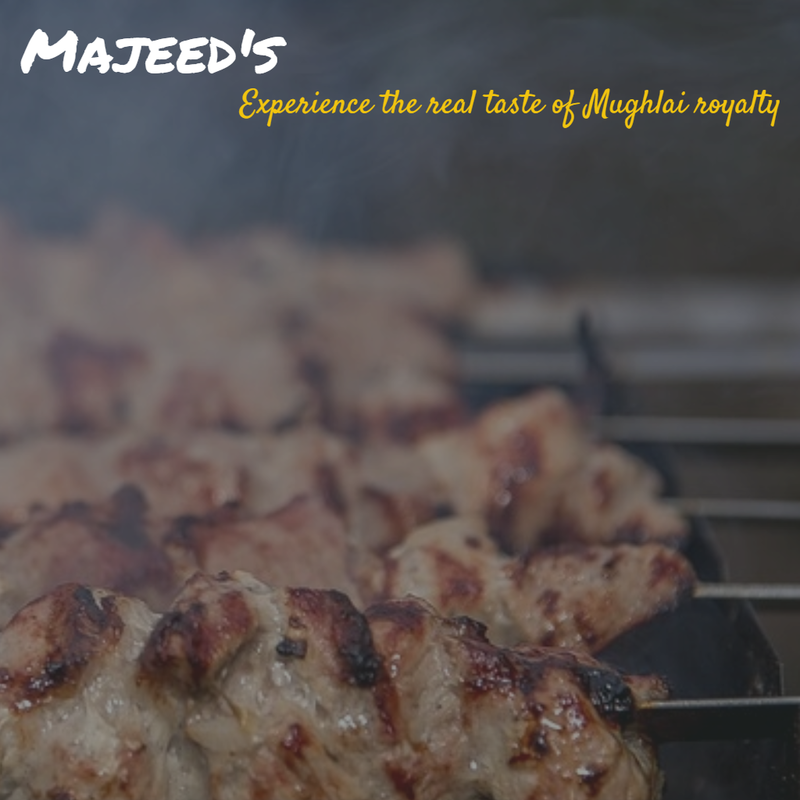 Well, if your answer is in the affirmative, look no further because Majeed's is here! The franchise is the brainchild of Majeed, a management graduate turned restaurateur, who is nurturing his late father's dream of establishing a successful Mughlai food venture. With its three outlets already garnering enough adulation in Delhi, Majeed's is all set to enthrall the discerning foodies of Gurgaon with two brand new outlets in Baani Square (Sector 50) and Galleria Market (DLF Phase 4). While you can anytime choose from a diverse spread of biryanis, tikkas or kebabs, here are few of my personal favorites at Majeed's. Definitely make a point to order Kakori Kebabs, which according to folklore was originally prepared by the Rakabdars (gourmet cooks) of Syed Mohammad Haider Kazmi, the Nawab of Kakori. These melt in your mouth kebabs are soft and succulent, and continue to remain my favorite mutton dish ever! Served in a sealed 'matka', which btw is as authentic as it can get, this Chicken Biryani is literally to die for! The chicken pieces are so tender and delicious that you just cannot resist another bite. The aroma of long-grain rice stays with you for a long time. Overall, a well-made dish that is subtle yet flavorful! A.k.a. Chicken Drumstick Kebab, the Afghani Tangri is just the kind of appetizer you'd typically crave for! Creamy and soft pieces of chicken, lightly spiced and cooked just right. Must mention here, this was the best chicken curry that I have relished in a very long time. A.k.a. Murgh Do Pyaaza, the recipe comprises a mildly spicy chicken preparation with a unique balance of sweet and sour and local Indian spices. True to its name, two types of onion are used in the recipe at two different stages of cooking to balance out the sweetness with double souring agents - tomato and yogurt. The end result is a completely balanced chicken dish that'll make you crave for more! 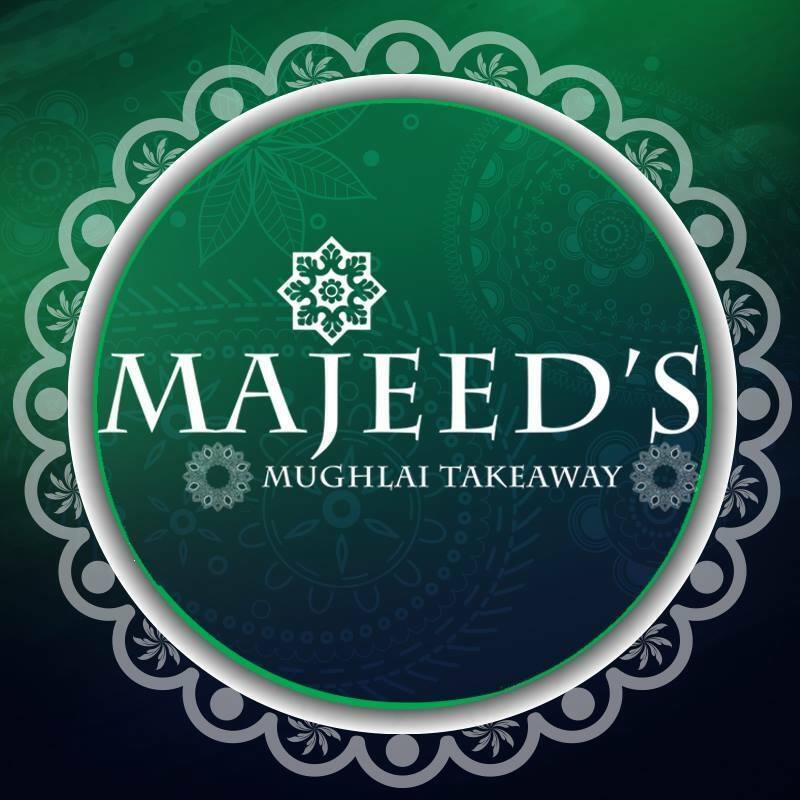 Looking to place an order from Majeed's? Here are the numbers to dial. Get an additional 20% off on all home-delivery orders above ₹ 200 when you order online from Zomato. Valid only between July 4, 2017, to September 4, 2017.